Common website mistakes made by small to medium businesses. Before we go into the most common mistakes small businesses make in the design and setting up of their company website, let’s hit the most important of all; putting the future of your online business in the hands amateurs designing websites in their spare time! This is a non-negotiable no-no! Trying to design a website on the cheap a dead-end. It will be an investment of far greater value if you turn to affordable website design produced by an I.T. company with a solid background and great recommendations from previous or current clients. It’s also not just a matter of website design, it’s also about how much your website designer can offer in terms of online marketing, digital tools and SEO, without these essential pillars you are never going to come close to taking a position on the first page on Google! Using your website to blow your own trumpet without being able to show the goods is going to get you nowhere fast! Visitors to your website are already looking for the type of services and products you have on offer, or they wouldn’t be there in the first place. Make it quick and easy for visitors to access content focussed on what’s in it for them, from products and services to customer recommendations and a little information about your company. Any credibility that you can add to your website is essential! People have become far more sceptical about who they choose to deal with, making credibility one of the fundamental pillars of a successful website, especially for small to medium businesses who do not have big brand names. utf8_general_ciimonials from customers take first place, along with any other data that will make your company look like a flourishing, growing business headed for great success – you would be surprised at just how many people can see through marketing that has nothing to back it up with! No one wanting to make contact with you via your company website is interested in jumping through hoops to fill in online contact forms! Great contact forms are straightforward and simple; after all, it’s a simple request for contact, details can be discussed after direct contact with your company. Have just a few required fields for visitors to fill in, make sure you let them know that their details will be kept private and round it all off by sending them an email confirming receipt of their contact form. This is where we get into the nitty gritty of taking your small business website and moving up in the rankings on Google. With little or no SEO structure to your website, you’ll be going nowhere fast for sure. As a small to medium business, your brand is not yet a household name, but with the right SEO structure, Google ‘crawlers’ will be able to rank you according to this SEO structure. Not paying attention to having a great SEO structure will ultimately keep you invisible on search engines, leading to losses in potential online sales or leads! Nothing is going to create more bounces on your website than bad navigation! Visitors to your website want to be able to find what they are looking for quickly and easily, or they move along swiftly to your competitors! Lay everything out clearly so that visitors can move backwards and forwards between categories and sub-categories with a minimum of hassle; this will keep them engaged a lot longer than if they are confused by the navigation options on your website. Believe it or not, this counts towards the credibility of your small business website, a whole lot more than you may think! A website cluttered with typos and bad grammar is going to say one thing to your customers; a lack of attention to detail! How are they going to have any confidence in your product or customer service if the copy on your website is dismal? Do yourself a great favour by bringing in professional writers or editors to do the copy on your site, any I.T. company designing websites will be able to direct you to this affordable, but well-worthwhile investment! These basic points are just part of a far longer list of common website mistakes small businesses make in designing and then marketing their website. This is where taking your budget and ideas to the team of IT wizards at Netgen will give you a fantastic basis for adding all the elements that really come together to make a website work! Netgen not only offers exceptional website design in Cape Town and Johannesburg, they also have over twenty years’ worth of experience in online marketing and SEO campaigns to share with you on the road to a successful website! 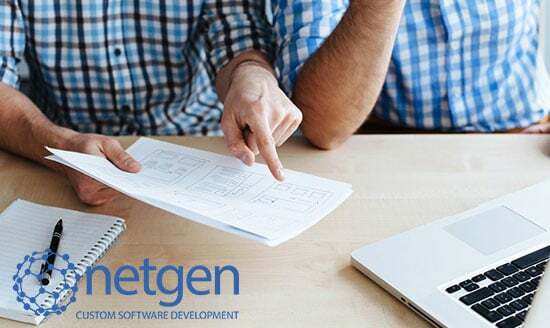 The crew at Netgen offer custom WordPress and website design for everyone from an individual wanting a brochure-type site to e-commerce websites and everything in-between, all of which is rigged to suit your vision, goals and budget. Contact Netgen today to get cracking on a website that will be the perfect web window for your business, designed with plenty of room for growth and trusted technical backup you can rely on at all times!